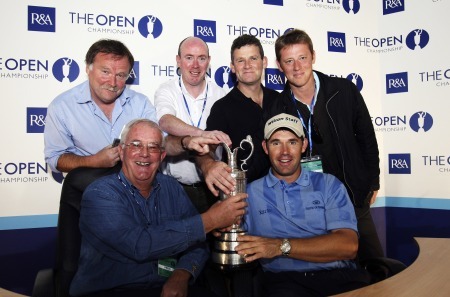 In an outstanding season that also saw him win the Irish Open at Adare Manor in May, ending a drought by a home winner in the tournament that stretched back to John O’Leary in 1982, Harrington was an unanimous choice for the professional prize. He will receive his award at a dinner, sponsored by AIB, in Dublin on January 4th. Rory McIlroy, who won the gold medal as leading amateur in The Open at Carnoustie, has been selected as the Irish men’s ‘Amateur of the Year’ for 2007. The 18-year-old from Holywood, Co Down, was a member of the Ireland team which won the European Team Championship at Western Gailes in Scotland in July and also represented Great Britain and Ireland in the Walker Cup match against the United States at Royal County Down in September. Karen Delaney, a member of Carlow Golf Club and a student at Kent University in the United States, has been awarded the ‘Women’s Amateur of the Year’ for 2007 following a fine season highlighted by her victory in the Lancome Irish Ladies Close Championship. Arthur Pierse will be presented with the ‘Distinguished Services’ award at the AIB Irish Golf Writers’ Association Awards Dinner next month. Pierse, a 56-year-old garage owner from Tipperary, became the first Irishman to win the British Senior Men’s Open Amateur Championship in August, the high point of a fine amateur career that saw him selected on the Great Britain and Ireland Walker Cup team in 1983. He also won the East of Ireland (1979), West of Ireland (1980, 1982) and North of Ireland (1987) championships. As part of a new three year agreement, AIB are the new sponsors of the Irish Golf Writers’ Association Awards Dinner. The dinner for the 2007 winners will take place at AIB Bank Centre, Ballsbridge, on January 4th, 2008.